Are you sure you want to remove Sultan Mohammad fateh from your list? 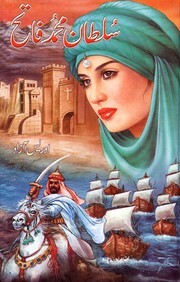 This historical novel tells the story of conqueror of Constantinople (قسطنطنیہ) (now Turkey). Sultan Muhammad Fateh (سلطان محمد فاتح) was son of “Muraad Khan II”(مراد خان ثانی). This story of great victory spread on approximately 500 pages.